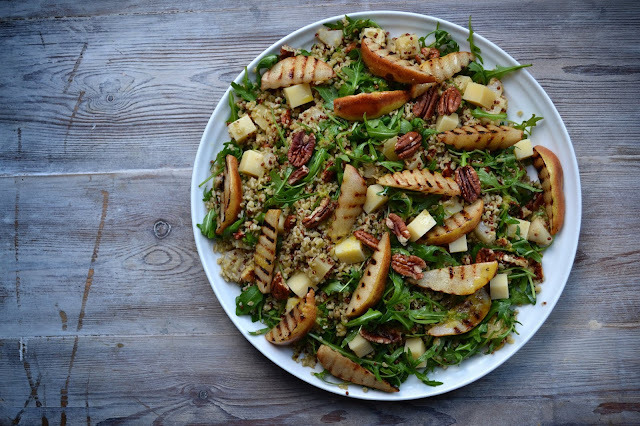 An edited version of this post first appeared on Great British Chefs blog. 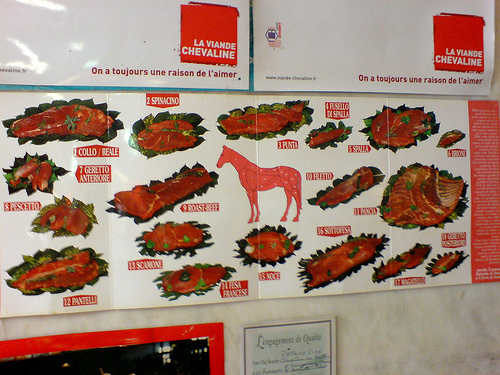 My very first encounter with horse meat came at the tender age of 17, when I was in Rouen on a rugby tour with a load of ugly, hormonal, immature reprobates; a merry bunch in which I include myself. We had just one free day to mess around and explore and so, after cavorting along the banks of the river and around the cathedral, a group of us went on an expedition; around the back streets in search of illicit beer and wandered for what seemed like hours. Eventually we came to a dingy looking cafe that looked like it would be cheap; judging by the rough exterior and Formica tables inside and would therefore have no scruples in selling us alcohol. We all sat around a table and ordered a round of Kronenbergs, which arrived promptly, along with some laminated menus, all frayed and dirty. "What do you reckon this viande de cheval means under the steak?" The silence that suddenly fell was deafening but the frozen postures and gaping mouths said it all. As rudimentary GCSE French started to filter back into our minds, chairs were urgently scraped back and at least three of the boys spat out their macerated meat into paper napkins; with pained, almost tearful expressions and child-like wails. The rest of us simply stared at the last remnants of the ‘steak’ on the table, looking all confused and surprised. Slowly, the truth dawned on us. We had all just committed a heinous crime; we had all just eaten Dobbin. 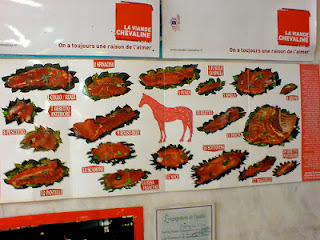 Thinking back, it certainly was a defining experience for me, eating horse and I have tried it several times since. I remember back then though, in that dodgy cafe feeling slightly shocked, guilty even but ultimately, the steak had tasted great; so really, what was the problem? Well the problem is that eating horse just doesn’t go down well in the UK. Being a nation of animal lovers, horses are often seen as pets. If you suggested to Mercedes down the paddock that her beloved Rosie would go down well on the barbecue, she would scream the place down and threaten to call her father so that he may blow your kneecaps off with a shotgun. People also still hold onto the venerated bond or partnership that we used to have with horses, after all they used to be, quite literally, the powerhouses of industry and farming. Horses at one time, where the principle means of livelihood. Shooting and eating your source of income 100 years ago makes as much sense as shooting your company’s managing director or client base today. You just wouldn’t do would you, however tempting. Of course, the recent furore over the discovery of horse meat in burgers, pies and lasagnes does need thorough investigation. And that is an understatement. For the supermarkets, it is not so much about questions raised over quality assurance but more like the whole issue of fraud that needs to be addressed. But with every report I read, I can’t help feeling that the clamour or taboo surrounding eating horse is overshadowing everything. After all, pig DNA was also found in the supply chain too. And not much has been made about that, despite the greater ethical and religious consequences for consumers. Maybe it’s just time we got over ourselves with regards to horsemeat. If you are happy to eat beef, lamb, chicken, duck, venison, kangaroo, emu, moose, springbok, wild boar etc etc then why not eat horse. A large populace of the world already do. And besides, have you ever been concerned about the meat the goes into your doner kebab on a Friday night? I know a fair few rugby players who couldn’t give a fig, I can tell you that. But tell them horse meat may well be in that elephant leg that Stavros has just sliced up? Well………. And peculiarly British. It wasn't even that long ago that horsemeat was eaten in Britain but we seem to have become so separated from understanding the source of food here, that the idea of eating animals that may also be beloved pets becomes abhorrent. No one is suggesting people actually eat their pets, but there's nothing intrinsically superior about a horse (or a bunny rabbit) to a cow or a chicken so no reason not to eat those animals when reared for the table. But yes please, can "Horrified of Poshington" get over themselves, please? The problem with horse meat is major....they are gathering up all the majestic wild horses on the prairies here in the USA, horses that have a lineage creating this Nation, as well as racehorses no longer worthy of the track per their owners....the first group is being gathered at a tremendous tax expense....the people don't want these horses run to death with helicopters, so fast that they break legs, panic, adrenalin to exhaustion...then placed in pens for ages, finally to slaughter...and unfair circumstance...all for cows to be placed on Federal lands instead. It is a political scam. As for the race horses with Bute being sent to slaughter also ending up as your meats, this is highly toxic to people. I believe we must cherish the horses, not abuse them and starve them in pens , and then slaughter them for food...toxicity for you to enjoy then. So be it. I prefer a horse alive. Who gives a hoot? If someone served me horse or it was available on a menu, I'd order it in a heartbeat. Why not? It's an animal and any large animal such as a horse that is made of lots of meat deserves to be eaten. Not eating them is a crime. Hell, I'd eat an owl too, and a bald eagle as well for that matter if the U.S. government didn't have such a monopoly of those tasty mosels.